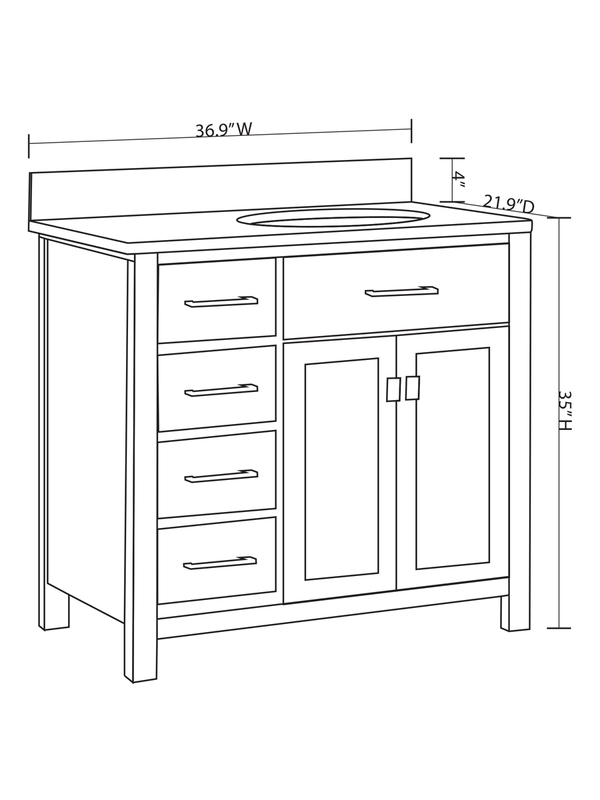 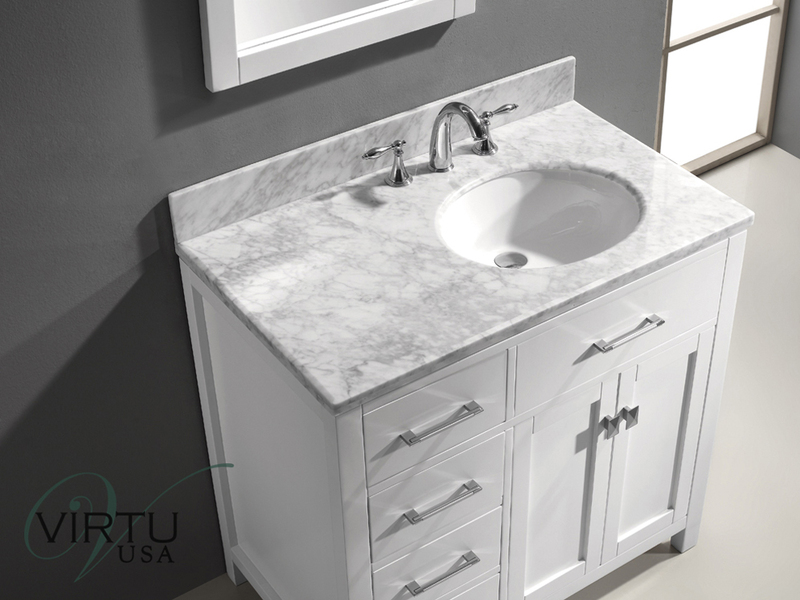 Enhance the ambiance of your bathroom with the 36" Caroline Parkway Single Bath Vanity in White. 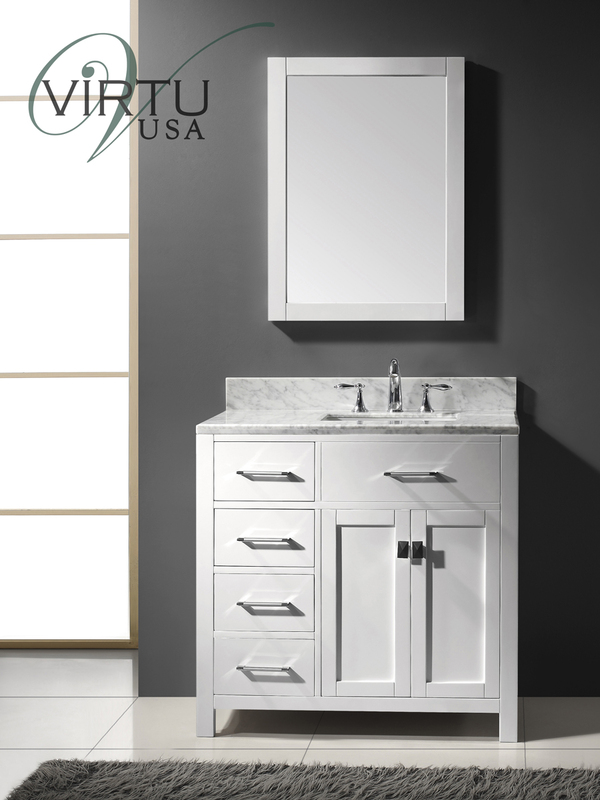 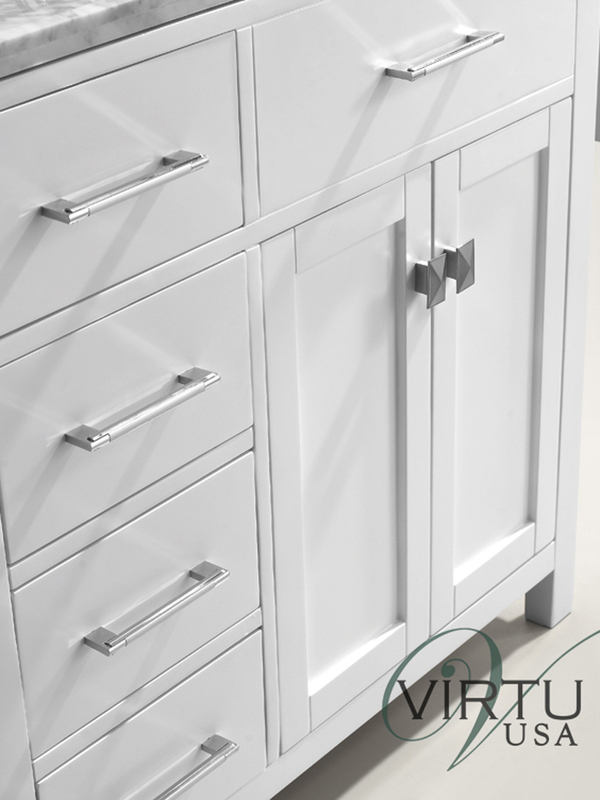 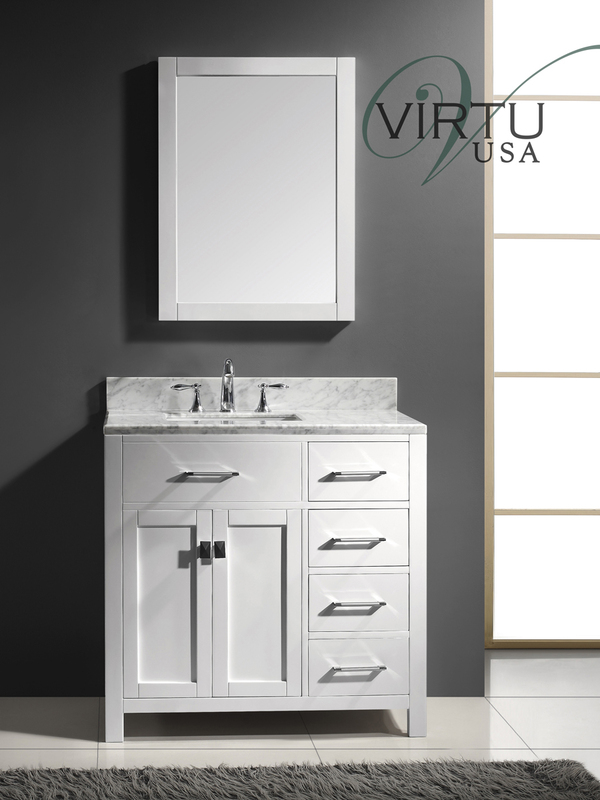 With a White Carrera Marble top and a solid wood cabinet, this vanity is designed to give off a subtle modern style that isn't too overpowering. 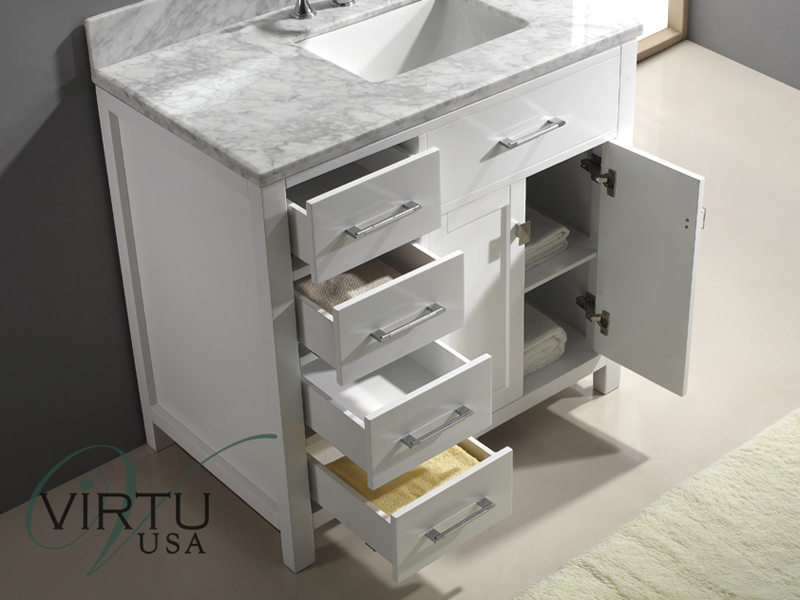 It offers a double-door cabinet for storage space, along with 4 storage drawers that can be on either the right or left side. 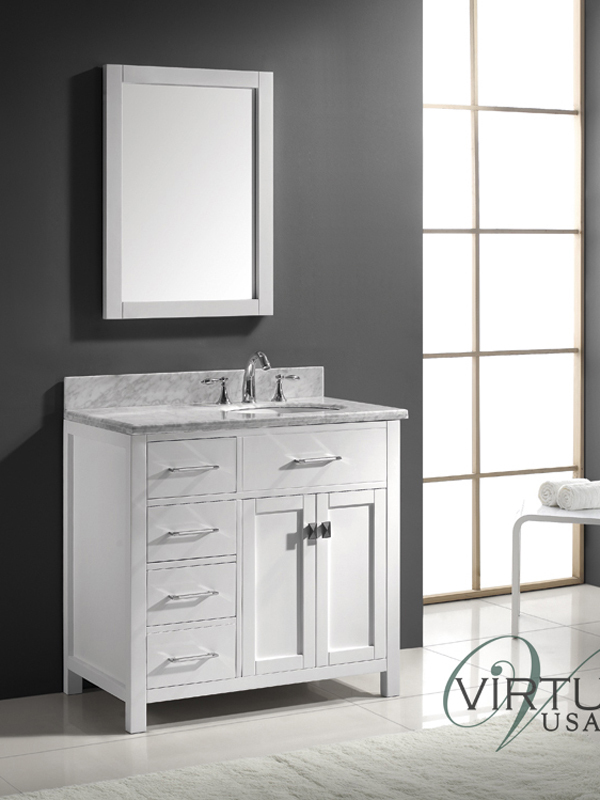 Each Caroline Vanity also comes with a matching mirror to give it a complete look that will completely change the look of your bathroom!